Advanced Equipment IQF tunnel freezers preserve the natural colour, flavour, texture of fruits and berries. Our fruit IQF freezer systems, or fruit IQF freezing process, will individually freeze a wide range of fruits and berries, including strawberries, blackberries, blueberries, raspberries, apple dices, peaches, and many others. 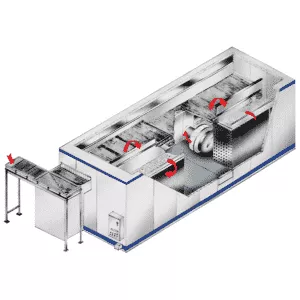 Versatility is why so many food production plants rely on the superior performance offered by an Advanced IQF tunnel freezer. 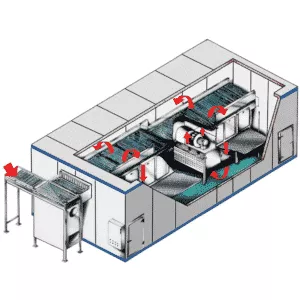 Our fluidized tunnel freezer is generally used for small IQF (Individual Quick Frozen) fruit and vegetable products that range from 3/16 to 2 inches in diameter. Our tunnel freezer is designed to retain the individual shape and weight of berries and fruit during the freezing process. When it comes to quick freezing fruit, you can count on an Advanced IQF tunnel freezer. Advanced has been designing and manufacturing IQF fruit freezing systems for over 30 years. Decades of freezer research and development has made Advanced a globally recognized brand for spiral and tunnel freezers. When it comes to fruit IQF processes, Advanced has perfected IQF freezing data for berries and fruit. If you have an obscure berry or fruit product you need to individually freeze, don’t panic. Our engineers can easily tweak your tunnel freezer for maximum freezing performance. All our tunnel freezers are designed to be assembled in our factory, then disassembled and shipped to minimize site installation time. Advanced IQF freezers are designed to occupy minimal space, reducing the cost of ownership. All our spiral and tunnel freezers are built to USDA, FDA, UL, CFIA, OSHA, and CSA - Specifications & Standards. 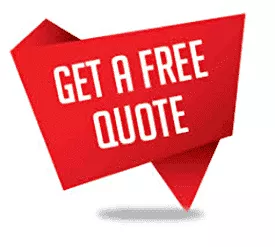 Give us a call and an Advanced engineer can answer any questions or concerns you may have. You can also schedule a free consultation on a fruit IQF tunnel freezer.